Heat oil in a frying pan/saucepan (non-stick preferably), temper with fennel seeds. Now add washed mulberries and salt into this. 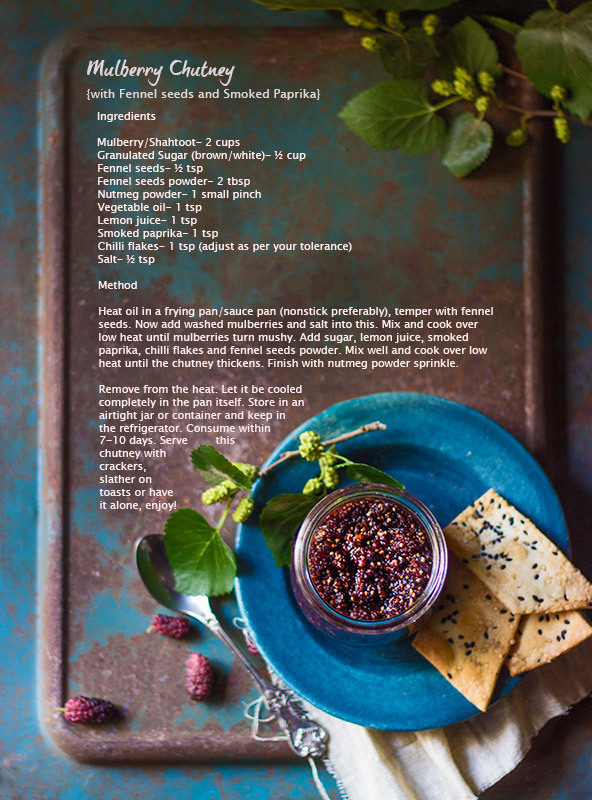 Mix and cook over low heat until mulberries turn mushy. Add sugar, lemon juice, smoked paprika, chilli flakes and fennel seeds powder. Mix well and cook over low heat until the chutney thickens. Finish with nutmeg powder sprinkle. Remove from the heat. Let it be cooled completely in the pan itself. Store in an airtight jar or container and keep in the refrigerator. Consume within 7-10 days. 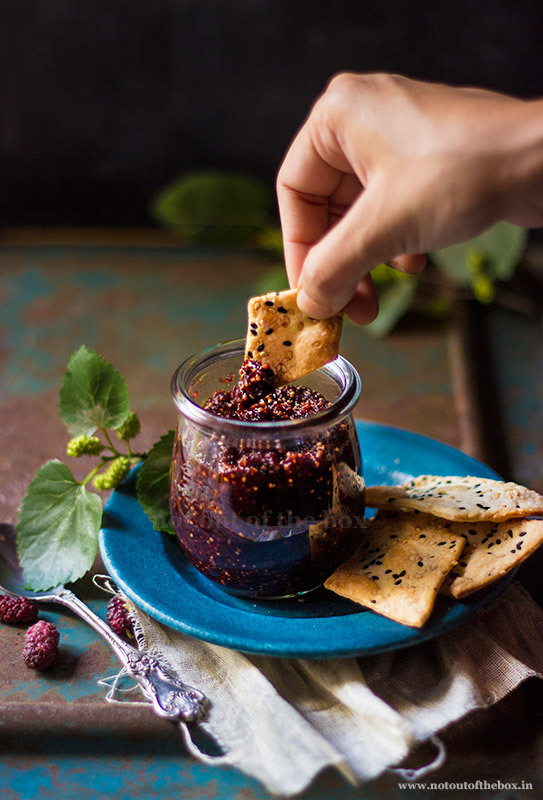 Serve this chutney with crackers, slather on toasts or have it alone, enjoy!